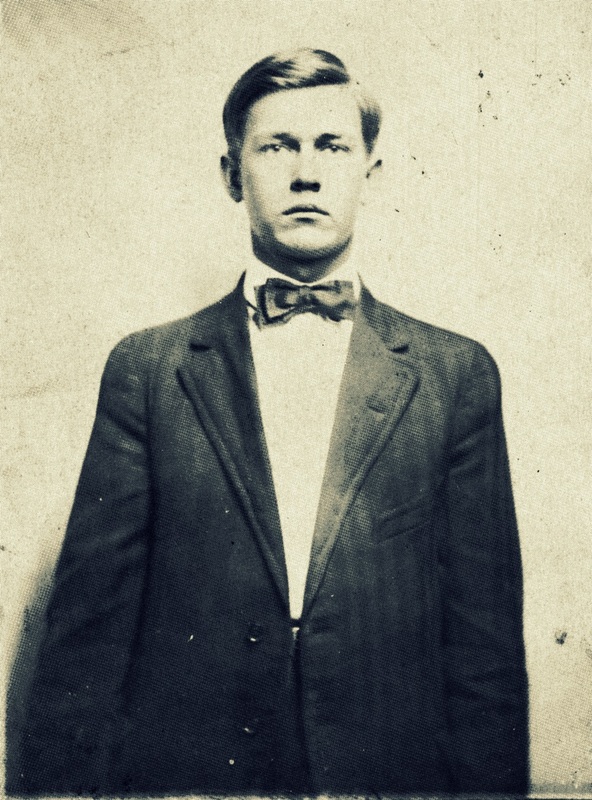 Lester Griffin, born July 30, 1890, was a son of Lillian Melissa Knight and Noah Webster Griffin, grandson of Mary Elizabeth Carroll and William Washington Knight, and great grandson of Levi J. Knight, pioneer settler of Ray City, GA. He was a brother of Bessie Griffin. 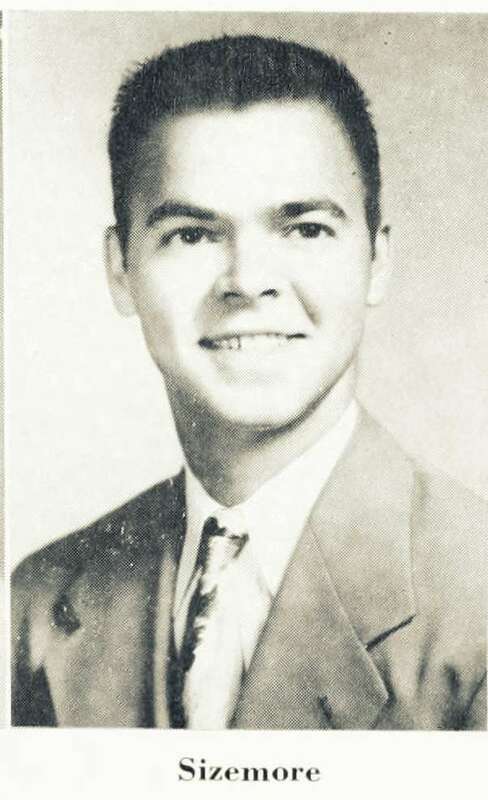 Lester Griffin, age 18, son of Noah Webster Griffin and Lillian Melissa Knight. Image courtesy of Alan K. Griffin. 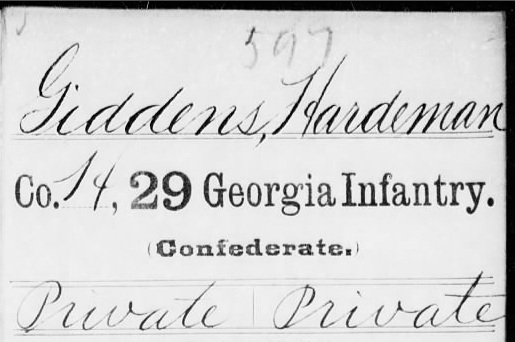 Lester’s parents grew up in the 1144 Georgia Militia District (Rays Mill District) but moved to the Lower Fork district of Lowndes county (Georgia Militia District 658) before his birth in 1890. 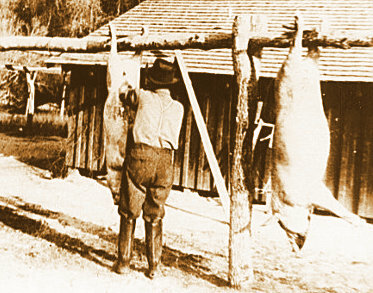 There, Lester Griffin grew to manhood and took up farming on his own account on rented land. 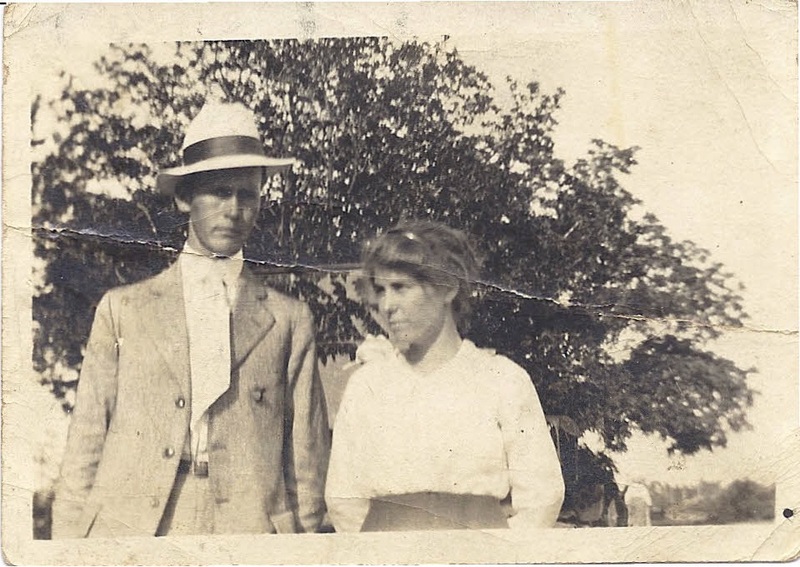 Sometime before 1917, Lester Griffin moved to Irwin County, where he took a wage job farming for James O. Sutton, who owned a farm on the Ocilla-Lax Road. Sutton’s mother was a Griffin. 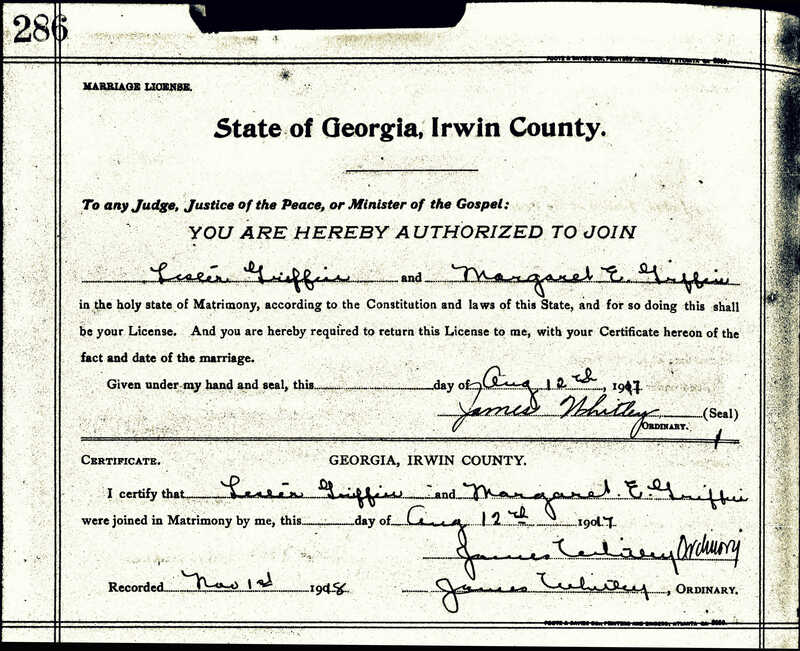 On August 12, 1917 in Irwin County, GA, Lester Griffin married Margaret Elizabeth “Lizzie” Griffin. 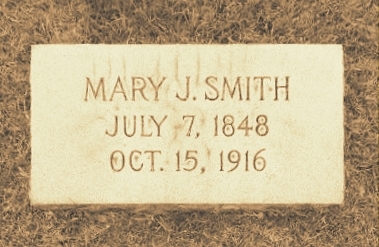 She was a daughter of Rachel McMillan and Bartow B. Griffin, keeping it all in the family. The blushing bride was 18 years old; the 26-year old groom was of medium height, slender, with dark hair and blue eyes. Lester Griffin and Lizzie Griffin, 1917. Image courtesy of Alan K. Griffin. 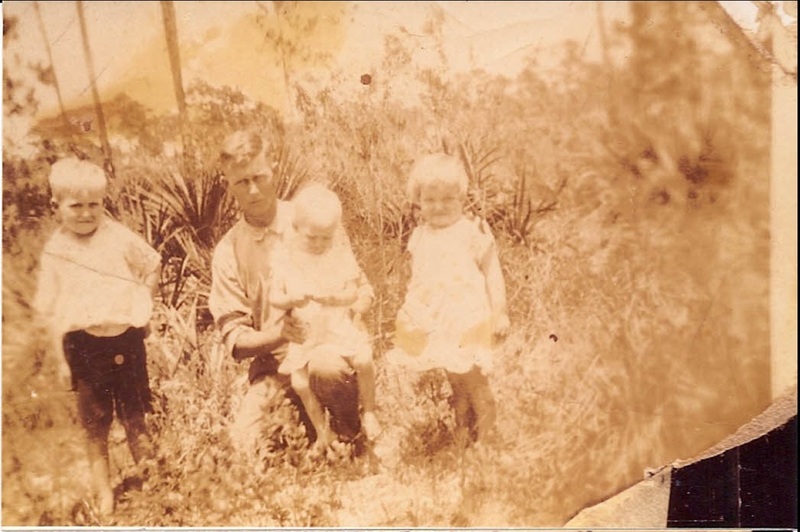 Lester Griffin and Children, circa 1925-1926. (L to R) Noah Webster “Webb” Griffin, Lester holding daughter Ommie, and Audrey. Image courtesy of Alan K. Griffin. Lizzie Griffin and Children. Image courtesy of Alan K. Griffin. “There was a violent hurricane that hit the Miami area on September 18, 1926, with winds estimated between 131 and 155 MPH (see Ray City Residents Among Refugees from 1926 Hurricane). Because there was little warning or understanding of hurricanes at that time, more than 370 lives were lost and 35,000 were made homeless in Southern Florida. Some thought the storm was over when the eye passed over and were outside when the second part of the storm hit (the eye reached the coast at Coral Gables about 6AM and lasted 35 minutes). The highest winds and storm surge (up to 10 feet) was in the second part of the hurricane. Fort Lauderdale, just to the North also had severe storm surge from the Hurricane. Prior to the hurricane, Grandmamma Lizzie and the children had travelled home, apparently for a visit. Both of Lizzie’s parents had birthdays in August, Bartow Beauregard Griffin (August 18, 1861 – August 12, 1929) and Rachel McMillan Griffin (August 12, 1860 – October 29, 1938) so perhaps the visit home was to celebrate their 65th and 66th birthdays, respectively. In any event, they were fortunate not to have been in Ft. Lauderdale. 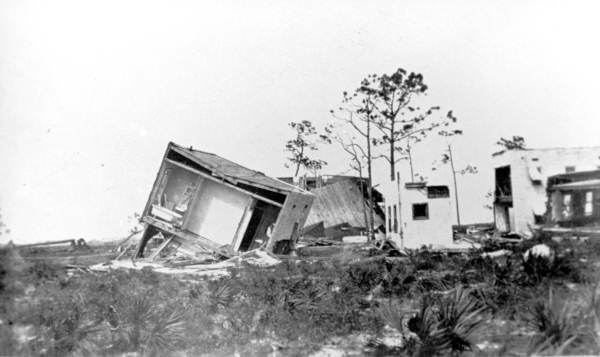 As Bonita related, Lester remained and rode out the storm in their house, which overturned in the storm (similar to photo below), nearly taking his life. Whether they would have all survived is doubtful, had they remained with him. 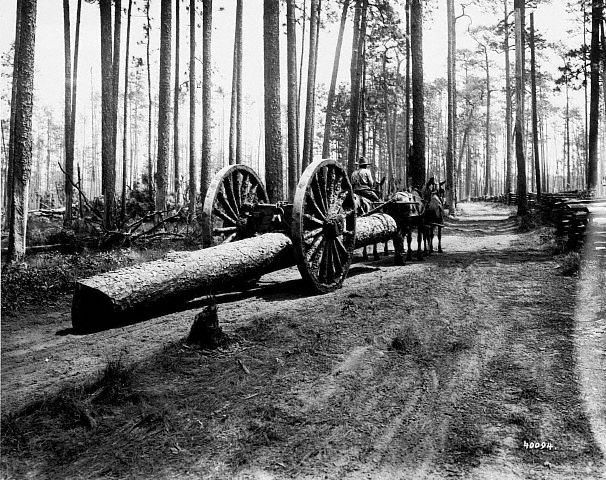 “They never returned to live in South Florida, instead buying a house on 5th Street in Ocilla, GA near the home of Lizzie’s brother, John Griffin. Lester became a night watchman, or deputy policeman in Ocilla sometime after returning. He became sick with flu and pneumonia sometime in late 1928 and was under the care of Dr. G. L. McElroy and Dr. G. W. Willis from December 17 till he died on News Years Eve, December 31, 1928. The information on the death certificate was provided by Lizzie’s brother, John. 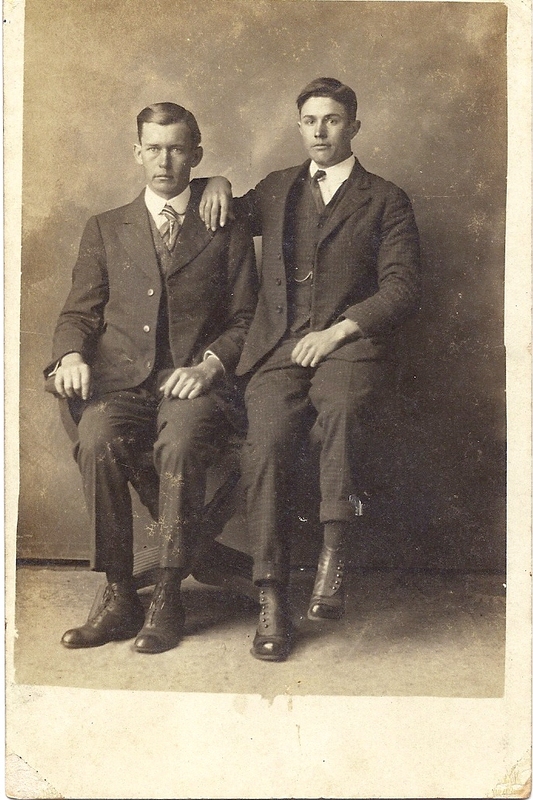 Lester Griffin (left) with ‘a friend’ (as noted on the back of photo). Image courtesy of Alan K. Griffin. 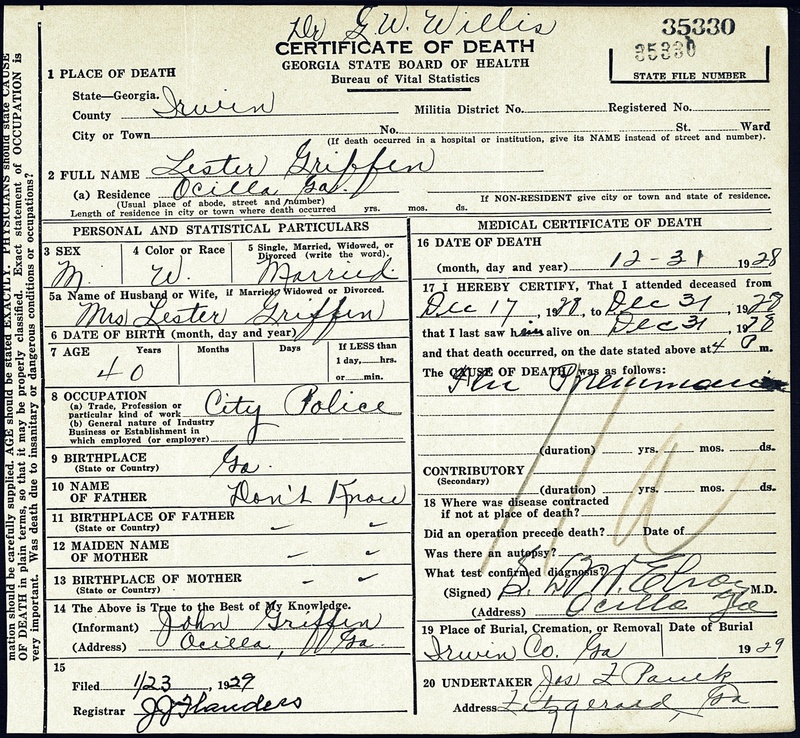 Death Certificate of Lester Griffin, Irwin County, GA. Image courtesy of Alan K. Griffin. “Lester Griffin died December 31, 1928 at the age of 38. He died of pneumonia leaving his widow and children at a tough time with the depression and all they faced. “Bonita was 10 years old at his death, Webb 9, Audrey 7, Ommie 5, and Cecil was 1 year and 8 months old. So, here was Lizzie at 30 years old, with five young children to raise on her own, and a house with a mortgage. By the Grace of God, the Woodmen of the World covered Lester’s mortgage, so the home became Lizzie’s outright. She had many of her family nearby, but being a proud lady, went to work as a seamstress to support them, and worked her whole life. 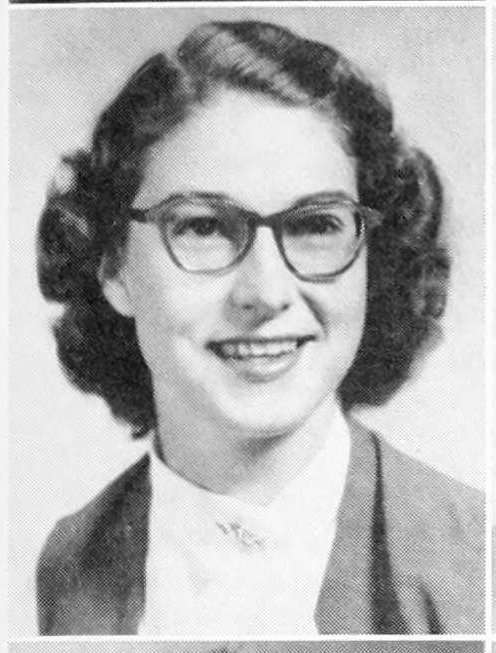 (She still worked at A. S. Harris Department Store in Ocilla when my brothers and I would spend weeks there during summers in the 1960’s.) Bonita helped with the younger children and home chores, and Webb worked to support the family as well. “Odd thing is, Lester’s Father, Noah Webster Griffin, similarly died in 1897 at the age of 41 , leaving his widow, Lillian Melissa Knight Griffin, to raise 8 children (one, William Howard Griffin, that she was about 6 months pregnant with at Noah’s death). 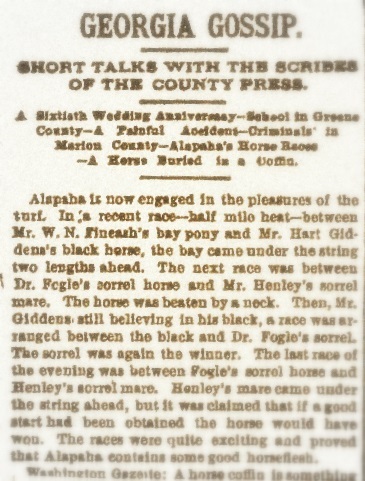 Noah Webster Griffin actually died from Typhoid fever, possible due to contaminated well water at the farm they had moved to about a year earlier. 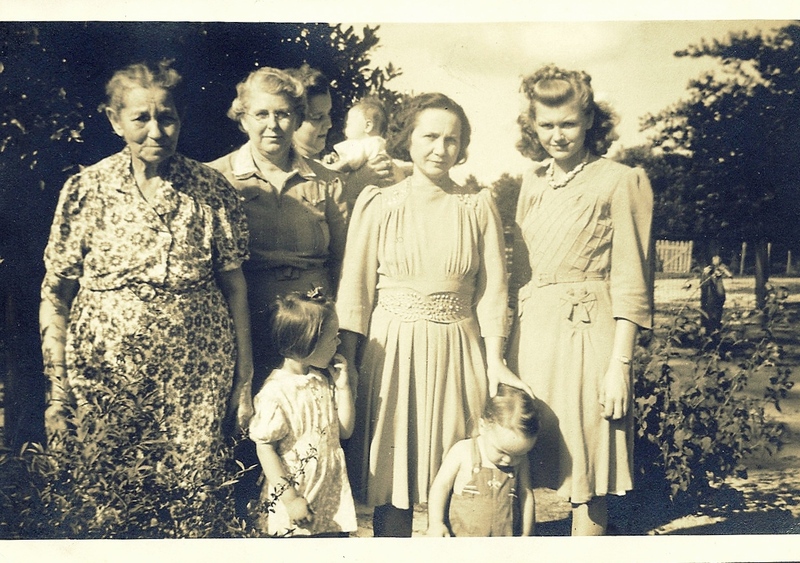 “I recently found the only photo I know of Lillian at about age 80, still looking very strong with daughter-in-law, Lizzie Griffin (Lester’s widow), Lizzie’s daughter Audrey Griffin Fletcher with baby daughter, Faye, Sarah Catherine Griffin (daughter of WH and Carrie Griffin), Carrie May Kelly Griffin (wife of Lillian’s son, William Howard Griffin), Charles Harold Griffin (son of WH and Carrie Griffin), and Ommie Griffin (daughter of Lizzie) . 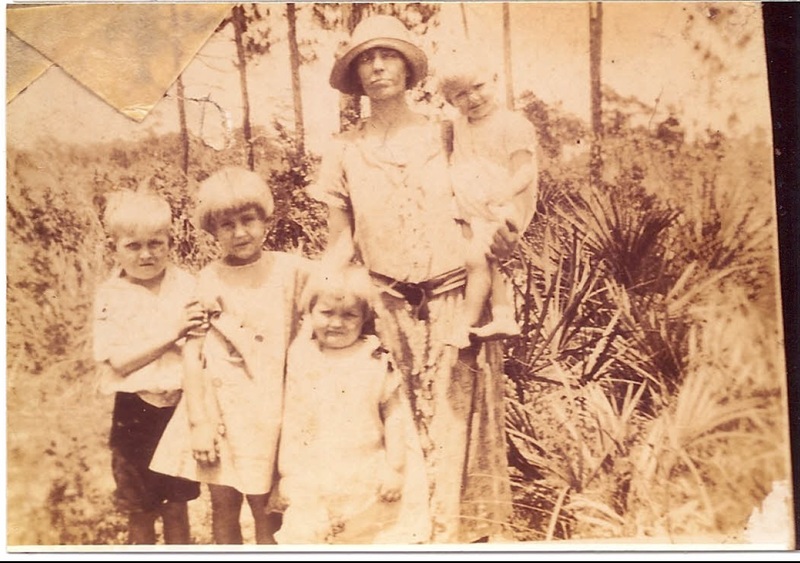 Left to Right: Lillian Melissa Knight Griffin at about age 80, still looking very strong; Margaret Elizabeth “Lizzie” Griffin (Lester Griffin’s widow); Lester’s daughter Audrey Griffin Fletcher (in rear) with baby daughter, Faye Fletcher; Lester’s daughter Ommie Griffin (front, center); Sarah Catherine Griffin (daughter of Lester’s brother, William Howard Griffin); Carrie May Kelly Griffin (wife of WH Griffin); Charles Harold Griffin, son of WH and Carrie Griffin (front, right). Image courtesy of Alan K. Griffin. 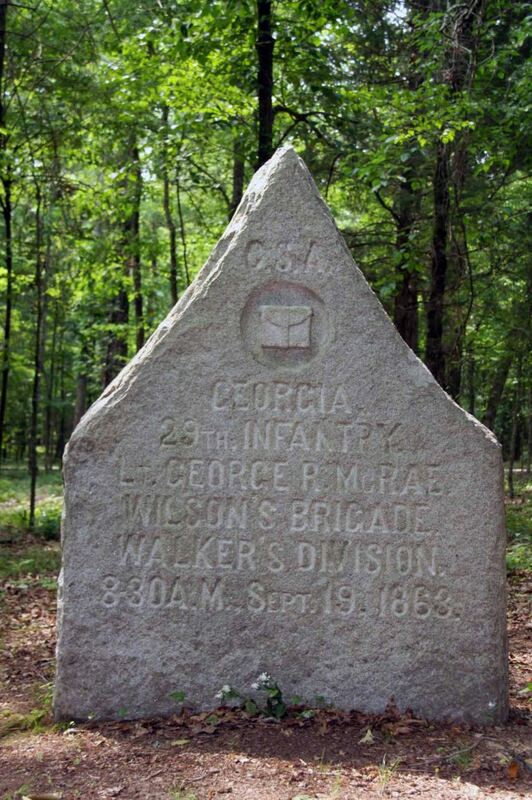 Lester and Lizzie Griffin are buried at Brushy Creek Cemetery, Ocilla, GA with many others of the Griffin family connection. Morris Levin was born August 21, 1915, in New Hanover County, North Carolina. 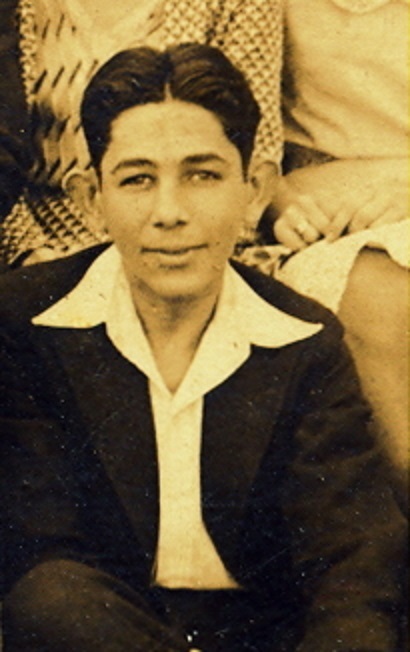 He was a son of Nettie Simon and Abe Levin. 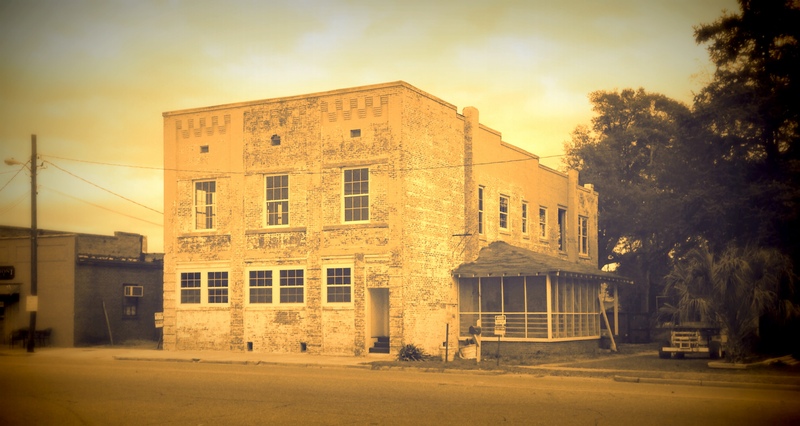 As a child he came with his parents to Ray City, GA where his father went into the grocery business for several years. The 1920 census shows the family lived in a house on Jones Street, and that Abe Levin was a business owner and employer. Abe Levin showed his support for the community with an advertisement in the 1929 debut of the Ray City News newspaper. 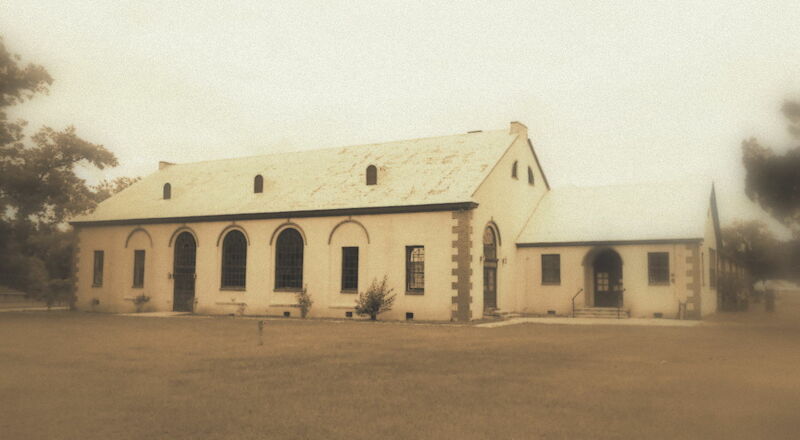 As a teenager, Morris Levin worked on the Ray City farm 0f Effie Guthrie Knight. 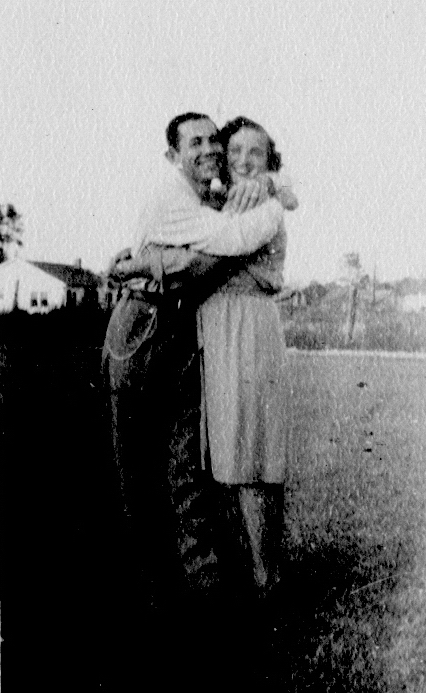 He assisted June Guthrie, Effie’s brother, with the farm labor. 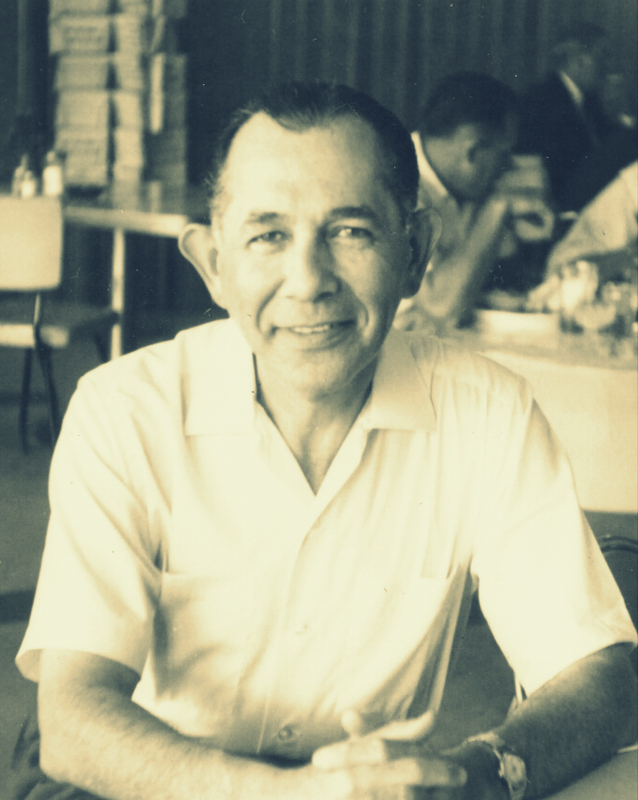 June was responsible for the day to day operation of the farm from a young age, and was a farmer all of his life. Later, the Levins moved to Nashville, GA and operated stores there for many years. Whenever the Guthries shopped at the Levin store in Nashville, Morris always treated them with such cordiality and respect. Many Ray City people, folks like Arrin and Verde Futch, continued to shop with the Levins at their Nashville stores. 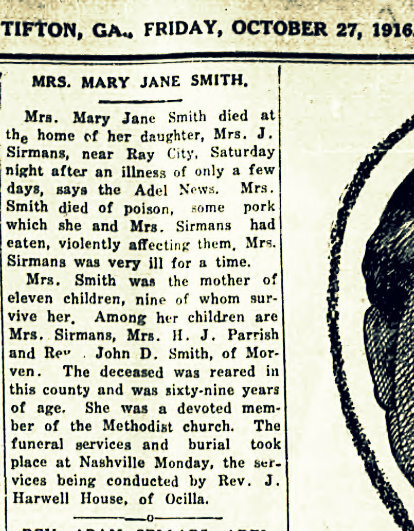 Among the Levin’s good friends in Nashville, was Maude Sizemore. Maude worked as a practical nurse, and was raising two boys on her own. The Levins, through their community connections, were able to help Maude with good job opportunities. One job was providing care for the children of Abraham Simon (A.S.) Harris, a prominent merchant and owner of the largest department store in Ocilla, A.S. Harris Department Store.